This project celebrates Sam Cooke and his efforts to prompt us all to keep working for civil rights and social justice through his song "A Change Is Gonna Come." At a time when civil rights are attacked with renewed vigor, from the highest level of government, and social justice is routinely denied many people, it is important to remember the struggles of Cooke and others who sought to facilitate change in our communities, society, and world. This project also reminds us that there is work still to be done. Millions of people yearn for the freedom to exercise their civil rights in a just society. Change is gonna come. Listen to Cooke's original version of "A Change Is Gonna Come" and help hasten its arrival. Singer Sam Cooke was arrested in Shreveport, Louisiana, in October 1963 for disturbing the peace. Despite reservations, he and his family were denied lodging at local white-only hotels. When he argued with hotel personnel, they called the police. Cooke decided to write a song about this experience that he hoped would move peoples' thinking. By December he had written "A Change Is Gonna Come." In February 1964, he performed it live on the Johnny Carson television show. Two days later, The Beatles first appeared on the Ed Sullivan television show. In his song, "A Change Is Gonna Come", singer Sam Cooke gave testimony to his struggles (shared and personal) for civil rights and social justice. He sang about change being "a long time coming," but, despite the hardships, knew "a change is gonna come." His song became an anthem for the civil rights movement, speaking to human uplift and triumph against adversity. Many artists have recorded "A Change Is Gonna Come" as part of their personal activism for civil rights. This project, A Change Is Gonna Come, celebrates Sam Cooke and his efforts to prompt us all to keep working for civil rights and social justice. At a time when civil rights are attacked with renewed vigor, from the highest level of government, and social justice is routinely denied many people, it is important to remember the struggles of Cooke and others who sought to facilitate change in our communities, society, and world. Cooke recorded "A Change Is Gonna Come" in November 1964. His record company, RCA, released it 22 December. Sadly, Cooke died eleven days earlier, on 11 December. "A Change Is Gonna Come" became a civil rights anthem. Dozens of artists have recorded versions. In 2005, the song was named number twelve in Rolling Stone magazine's 500 Greatest Songs of All Time. In 2007, it was selected for preservation in the Library of Congress, with the National Recording Registry deeming the song "culturally, historically, or aesthetically important" (Cannady, Sheryl. 2007. "Recordings by Historical Figures and Musical Legends Added To the 2006 National Recording Registry". Library of Congress, March.). Enjoy these versions of "A Change Is Gonna Come." Think about change, and what you can do to help its coming. 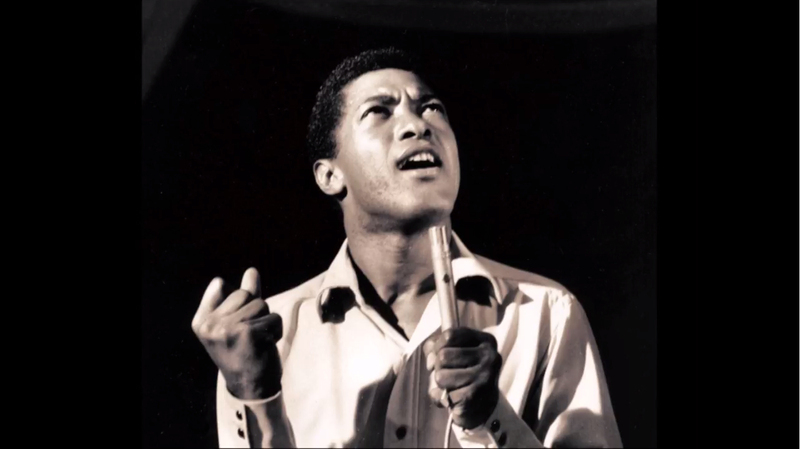 In his song, "A Change Is Gonna Come", singer Sam Cooke gave testimony to his struggles (shared and personal) for civil rights and social justice. He sang about change being "a long time coming," but, despite the hardships, knew "a change is gonna come." His song became an anthem for the civil rights movement, speaking to human uplift and triumph against adversity. Many artists have recorded "A Change Is Gonna Come" as part of their personal activism for civil rights. At a time when civil rights are attacked with renewed vigor, from the highest level of government, and social justice is routinely denied many people, it is important to remember the struggles of Cooke and others who sought to facilitate change in our communities, society, and world. I like to think that my combination of several versions of "A Change Is Gonna Come" will prompt you to think about Cooke's personal struggles against racism, discrimination, and disrespect. Perhaps you have similar struggles. Surely you know of others who face this adversity. I hope this project will prompt you to do what you can to hasten the arrival of positive change that will make all our lives better, more just.